“Rocky Flats bills itself as one of the safest government facilities in the country…, but “signs can lie”. Kristen Iverson grew up in Arvarda, Colorado, near the Rocky Flats Nuclear Weapons Plant, operated by Dow Chemical, which made plutonium “triggers” for nuclear bombs. She had grown up hearing about deformed animals and people dying of cancer, but as most Rocky Flats employees and nearby neighborhoods thought, “the Government would tell us if something was wrong.” Scientific study reveals that radioactive waste can remain toxic for vast lengths of time. For example, plutonomum-239 has a half-life of 24,000 years. Despite many attempts to expose Rocky Flats, it continued to poison people, places and things for 40+ years. 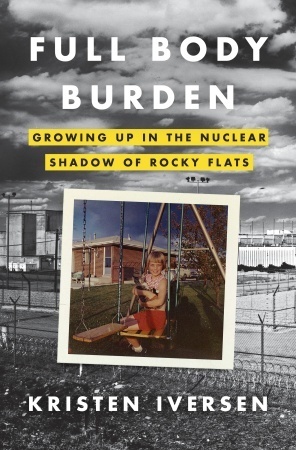 Ms. Iversen’s story details this travesty of justice along with her personal account of growing up with an alcoholic father, overally optimistic mother, siblings and pets near Rocky Flats. This well-researched, heart-wrenching story is an eye opener and a must read for everyone who believes in democracy and who is tired of corruption with government and big corporations. It is a coming of age story of a young girl, her family and thousands more in Colorado, kept in the dark about a death trap that is still simmering under the disguise of a public wildlife refuge for hiking and biking. Thank you to Kristen Iversen, Crown Publishing Group and NetGalley for giving me the opportunity to read this very important book.